Work Sharp has partnered with legendary hall of fame knife maker Ken Onion to develop a new knife and tool sharpening platform with expanded features. 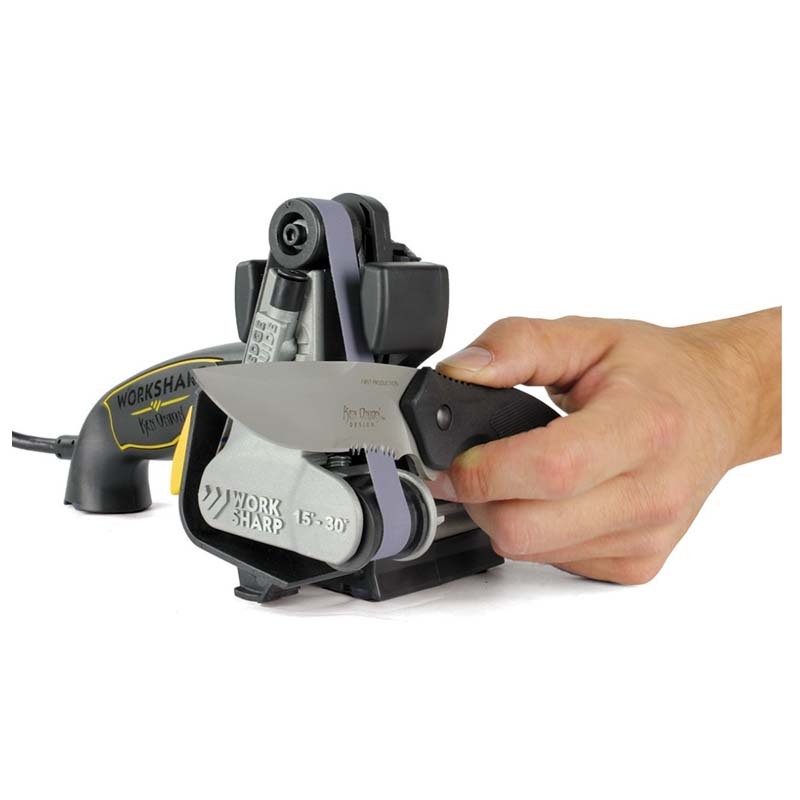 The Ken Onion Edition Knife & Tool Sharpener is designed to sharpen every knife you own. 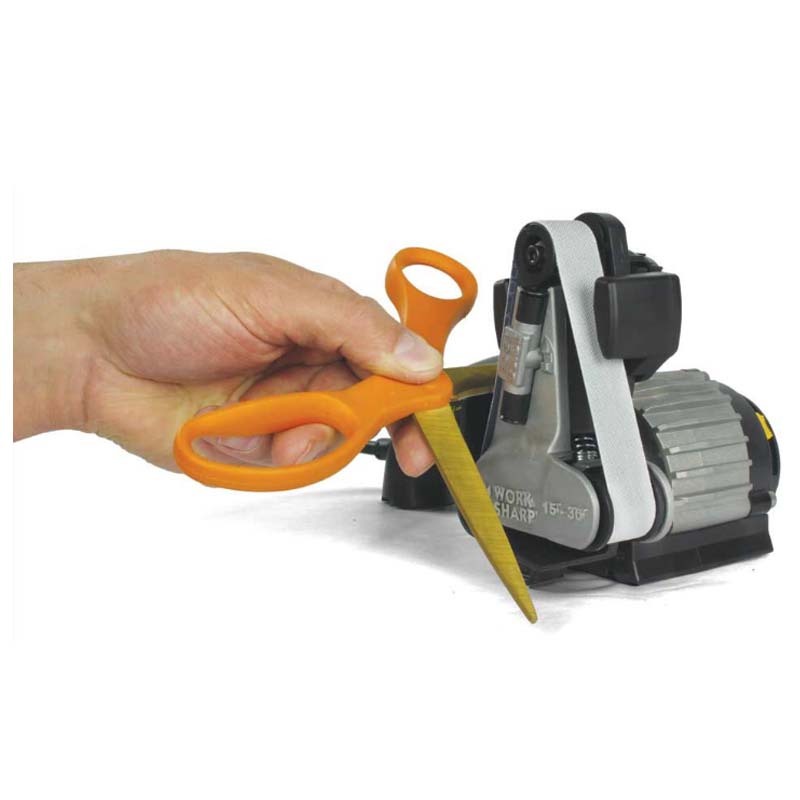 Using a fully adjustable precision sharpening guide, variable speed and wide flexible abrasive belts it sharpens pocket & hunting knives, serrated knives, kitchen knives and any other shape or type of blade you own. 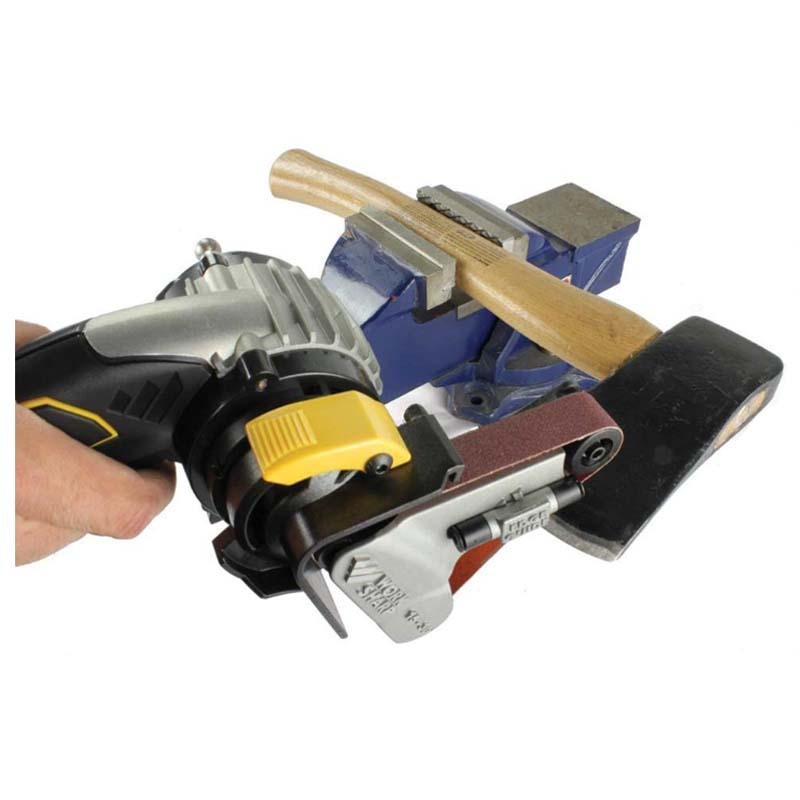 Professional blade makers like Ken Onion use flexible belts to put a razor sharp edge on their blades, now you can have the same technology in your home or workshop. 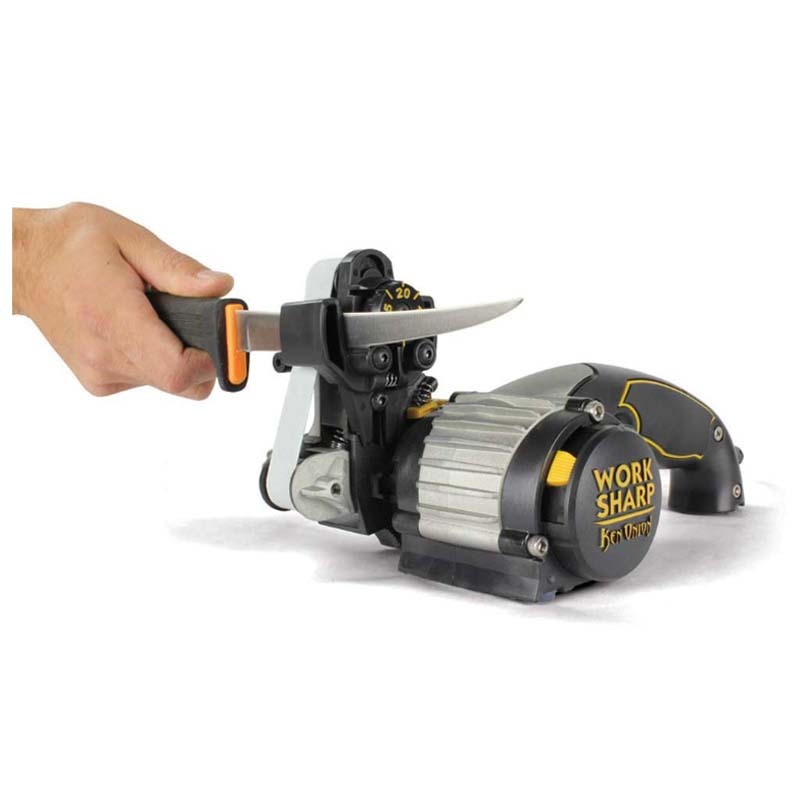 Work Sharp Engineered and Ken Onion Designed to deliver the pinnacle of knife sharpening. 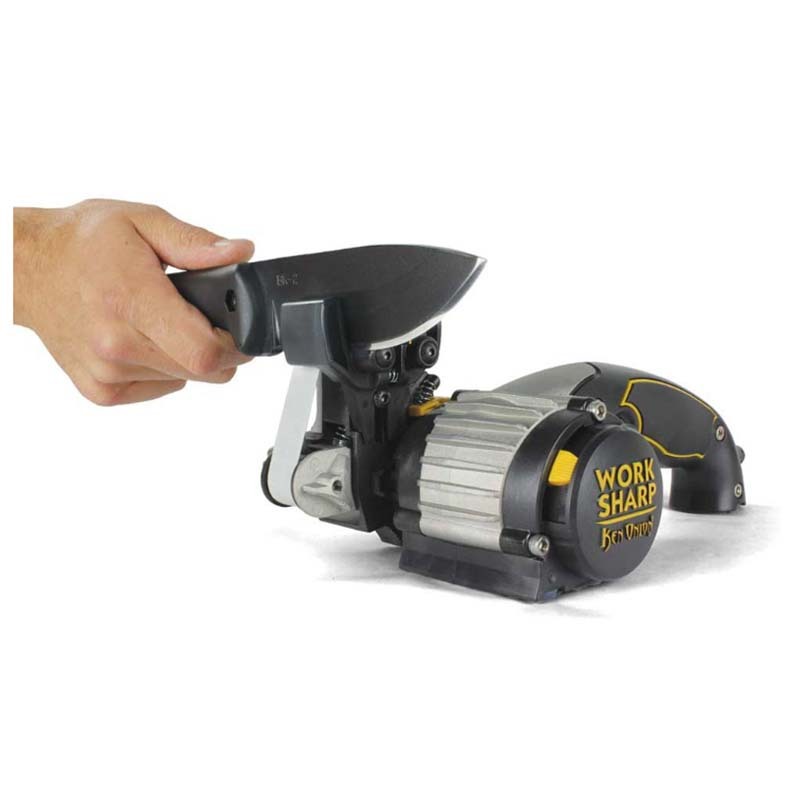 knife blade and uses a precision sharpening guide to ensure that you get a consistent angle every time. desire to best meet your needs. Abrasive Size: 3/4" x 12"